Hundreds of rioting Muslims have set a Shariah court ablaze in Nigeria's northern Kano city to protest a judge freeing a cleric accused of insulting the prophet Muhammad. An AP reporter watched protesters throw blazing, fuel-filled tires into the building, then start marching through streets to demand punishment for Malam Abdul Nyass. He is accused of saying that the Tijanniyah sect leader is more powerful than Muhammad. 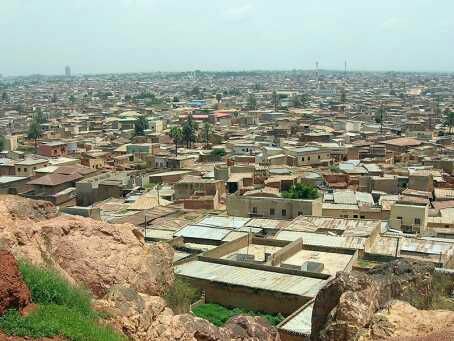 Kano is Nigeria's second largest city with a mainly Muslim population that adheres in almost equal numbersto the Sunni and Tijanniyah sects. Nyass appeared before the Shariah court last week but was apparently secretly freed and has disappeared.Police monitored the crowd of protesters but did not interfere as they marched on Government House, the office of the governor of Kano.